It doesn’t take long for water heater problems to disrupt your routine. The water heater replacement experts at Major Drain understand that an inefficient or malfunctioning water heater is not something to ignore, and needs immediate attention. Major Drain provides fast and reliable hot water heater replacement services for the Omaha area so that you and your family can return to your regular schedule as quickly as possible. 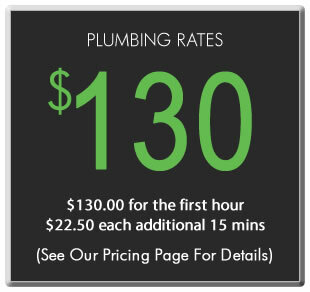 Whether you need electric water heater or gas water heater repair, or a completely new water hot water heater, water heater replacement technicians will provide hassle-free, affordable service, using only the most reliable, cutting-edge hot water heater brands. Major Drain’s water heater replacement professionals do it right the first time, with trusted water heater brands that last the test of time. With Major Drain’s water heaters there will be no need for your Omaha family to stress over water heater cost or unexpected maintenance. We replace and install water heaters with great care to avoid the need for costly water heater repair in the future. It’s important to consult a water heater replacement professional to accurately inspect your hot water heater problems to best decide if water heater replacement is absolutely necessary. Major Drain performs thorough inspections to see if your electric water heater or gas water heater problems can be fixed. If it’s determined that there are problems with a leaking water heater, you will need a replacement water heater immediately to prevent flooding or water damage inside your home. Inconsistent water temperatures, noisy water heater problems, or additional water heater issues might be a sign that you need water heater replacement as well. If your water heater can’t be fixed with just a few minor repairs, Major Drain provides hot water heater replacement services at an affordable price. Each of our qualified professionals is highly trained and has plenty of experience in hot water heater replacement. We work efficiently and effectively to install your electric water heaters or gas water heaters to avoid taking up too much of your Omaha family’s valuable time. Major Drain’s hot water heater replacement technicians are always prompt, friendly, and easy to understand. We value our customers and strive to provide the highest quality customer service to every one of our Omaha clients. Upon completion of your water heater replacement, you can be sure your new hot water heater was installed properly, because our water heater experts perform every job with meticulous care and attention to detail. When you’re looking for professional hot water heater replacement services for your Omaha home, you can trust Major Drain. We provide prompt and friendly service to every client and only install and replace dependable water heater systems. We only recommend top-quality hot water heaters that are reliable and will provide your family with hot water right when you need it, for years to come. At Major Drain we are proud to offer AO Smith water heaters. AO Smith continues to stand at the forefront of water heater technology. We choose AO Smith for all of our water heater installations and replacements because we have found they are extremely reliable. Parts for AO Smith water heaters are also usually readily available locally, which allows for faster service and repairs, as opposed to boxed store brand water heaters. We provide services for the following: 40 gallon electric water heater, 50 gallon electric water heater, 40 gallon gas water heater, or 50 gallon gas water heater. Contact Major Drain today with all your hot water heater installation and emergency water heater replacement needs!